There is so much crap social media advice out there, once in a while it simply leaves me speechless. As told before I am a member of a (German) Social Media Marketing group on Facebook. This morning I saw the (totally legitimate) question of how to gain fans on Facebook for a new page without paying for ads. Although there are ways to grow a Facebook page without ads, one of the first answers “starting new today you will probably have to think about ads” might be at least partly true. Some of the other tips on how to grow a Facebook Fanpage were really going from bad to worse. Ok, some advice like “buying fans”, “post in relike-groups”, “spam your friends” and the like is obviously just bad advice from people who do not know better. What really shocked me is the advice most social media consultants gave: “Simply good content, patience and consistent work.” My god… we have 2015 the old assumption that good content will rise to the top no matter what simply doesn’t work any more. People who try just content will fail miserably (although good content is of course needed). The hard truth is: These people will spend their life talking to themselves their best friend and their cat for the rest of their (social media marketing) life. People who try content without distribution on Social Media will spend their life talking to their BFF and cat. Suppose you want to organize a series of parties and someone tells you: You do not need to tell people about the party, do not write invitations, people might consider them spam. Simply provide the best food, drinks and music and people will notice and come. I am fairly sure, you would ignore this advice and invite people to your party anyway. And you are right to do so. So, why do so many people still believe this kind of crap advice in connection with social media or blogging? Ok. This article tells you some things you should not do if you want to build your social media accounts. That leaves you with the question: How can you build your social media audience, traffic and even leads and sales from social media (without paying for advertising)? 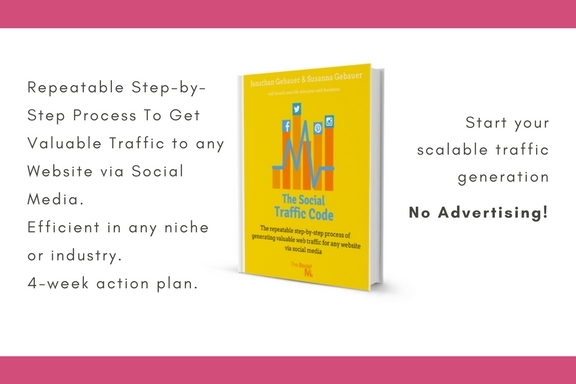 That is exactly what we teach you in our ebook “The Social Traffic Code!” We show you a proven process to build an audience, get targeted traffic from social media and turn that traffic into leads and customers. We show you how we and multiple other social media influencers did it and how you can achieve the same success! Neither a blog nor a Facebook page that has no readers/fans will mysteriously one day start to attract an audience just because they have good content! How should this happen, when no one notices the great content that is on there? Who is going to spread the word about your blog or Fanpage if not you? The fans you do not have? The readers you still have not yet attracted? I am not talking about spamming other people with daily messages like “Did you see my blog/fanpage?” – although there is nothing wrong about telling people who could be interested that you HAVE a new blog or Fanpage, even ask them to have a look. I recommend doing this when you already published a few (outstanding or at least noteworthy) articles or updates. This way people can see what you are doing and what they will get if they follow you. 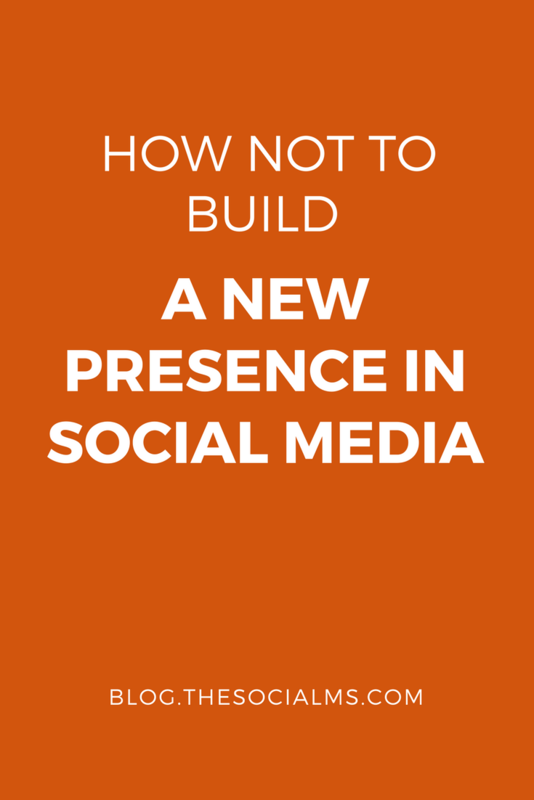 Who is going to spread the message about your new Social Media presence? Word of mouth is a funny thing: Without anyone ever noticing you and your content, who will spread the word? You need to get the word out about your blog or social media existence. There are multiple ways to do this. Simply publishing good content is not enough anymore for the simple reason there are so many others posting great content and they do spread the word about it. The amount of content on the web is growing exponentially – you have to compete to win. We used option number 2 when we built exploreB2B: We were new to the game and had basically no following in Social Media. It does take a lot of persistent work – but it works. We also did not have not enough of an audience for exploreB2B to build our Social Media presence on it. So we started building a tribe on Twitter – just see where we are now and how we can use this presence. Good content that speaks to your target audience is a necessity – but it is not sufficient to guarantee growth and it for sure is not a Social Media strategy. Once you have an audience, this audience will help you spread the word about your content. But as long as your audience consists of your best friend, your mum and yourself, it is you who has to spread the word – simply because no one else who might do it, knows about your great content. 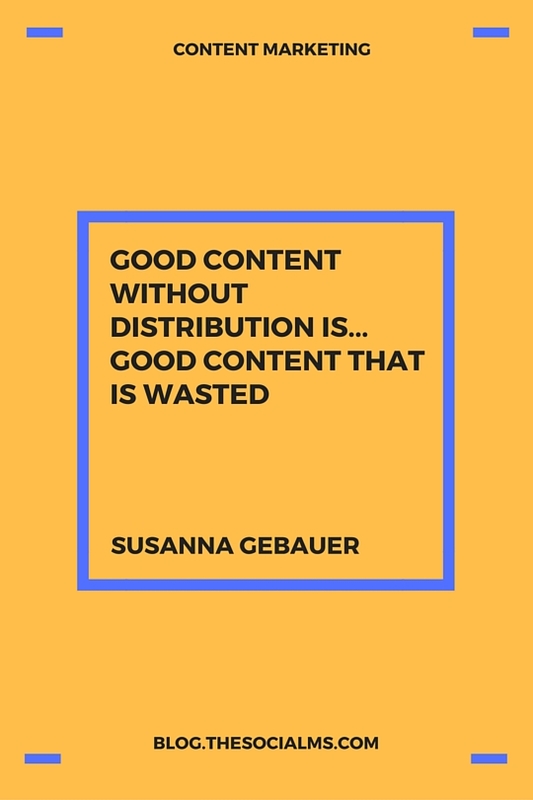 Good content without distribution is… good content that is wasted. To sit back and wait that an audience will appear out of thin air – means simply you are waiting for a miracle that is not going to happen. And you do want a successful and well attended (Social Media) party, don’t you?